Recognized and sought after by professional hunters and wildlife lovers from all over the world with an outstanding team of specialist artists and craftsmen. Every trophy that we craft reflects the depth of our understanding of wildlife and nature. Every trophy is transformed into an artifact, as real as it was when alive. We specialize in animals from all over the globe. 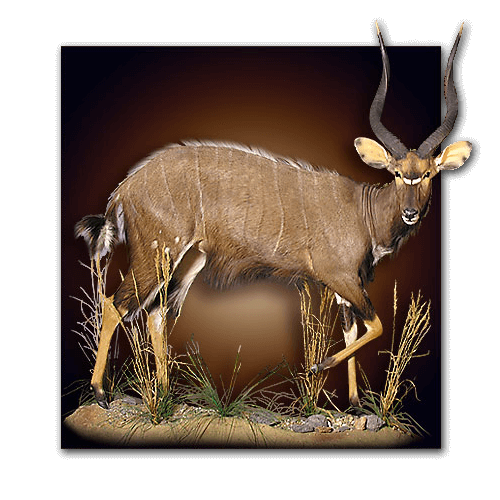 From North America to Africa, we offer the highest quality of animal taxidermy anywhere. Remember the first time you laid eyes on that wild animal and it stared back? The hunt began right then and there, and the thrill of the chase was no doubt exhilarating, topped only by the pride you felt after finally bagging the prize. You’ll obviously want to share that experience with everyone, and there is no better way of doing so than by preserving the specimen. 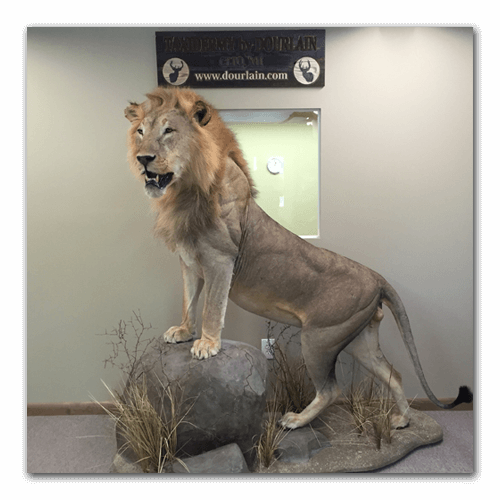 Taxidermy by Dourlain is a taxidermist in Michigan that not only preserves your trophies; we bring them to life in a natural setting. We don’t just preserve and mount specimens; we set them up in a way that’ll make sure you are able to relive the thrill of the hunt every time you see it. As a hunter, you want your trophies to tell a story. When you point at the mounted specimen in your living room, you want it to tell the great story of your conquest. Our Michigan taxidermists capture the very essence of the wild, preserving that thrilling moment when you finally bagged that hunt. 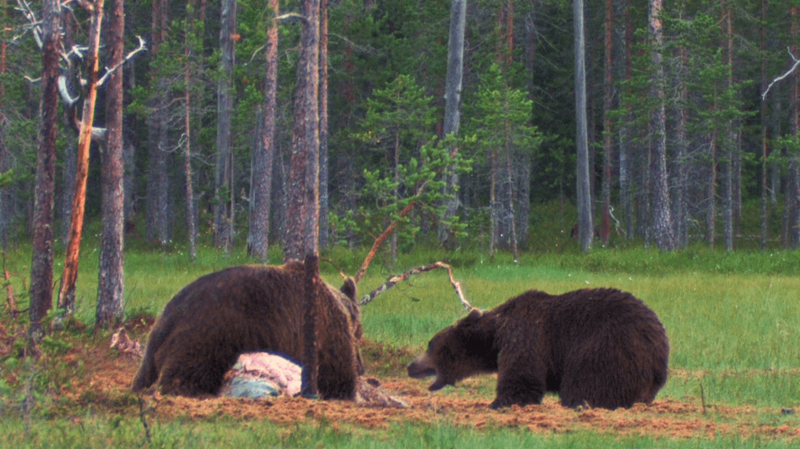 Whether you’re mounting a bear, deer, or a more exotic animal, you can trust us to do more than just preserve the specimen. We turn simple mounted specimens into a snapshot of the wild, showcasing the untamed and making every memory of the hunt fresh. 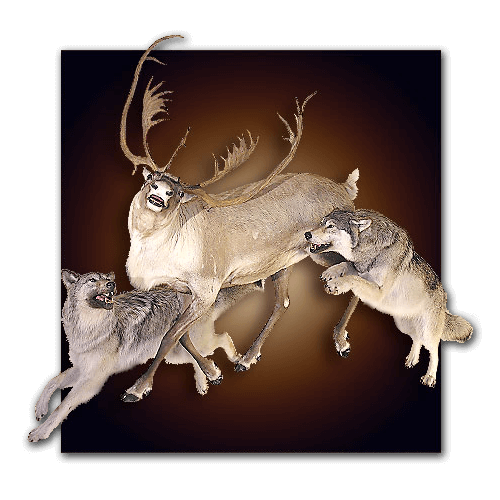 You can count on Taxidermy by Dourlain for professional taxidermy in Michigan. The hunt comes alive, forever. 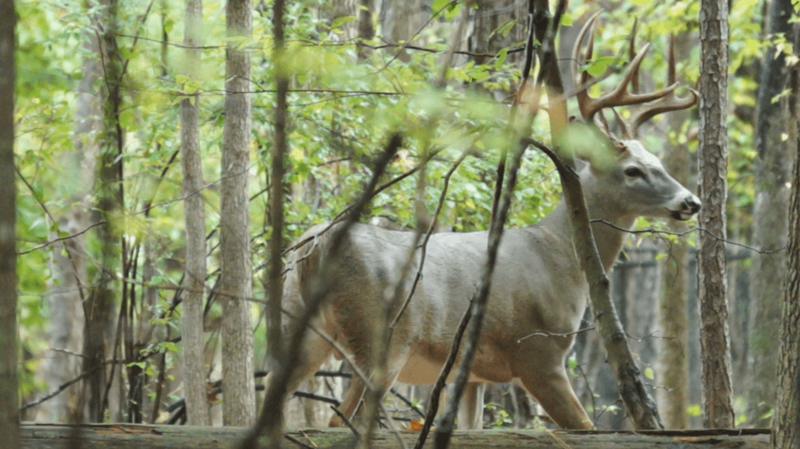 The excitement of the hunt and the breathtaking beauty of the wild – make it all come alive. That thrilling moment, repeated over and over. In trophies that not only preserve but capture the very essence of the wild. The hunt is never over. It lives on with Taxidermy by Dourlain, crafted with care. The stuff wonders are made of. Bow and arrow, light and shadow, the rain and the rainbow – these things are linked forever. Like day is to night, the hunter is to the hunted. We know it is more than a mere animal to you. It is a dream that you wish to relive again and again. Taxidermy by Dourlain will recreate the excitement and the environment of your hunt. So real, you relive the thrill. It started the moment you saw the animal and it saw you. Every hunt tells a story. Share this story for posterity. Trophies that showcase your adventures and retain the memory of every hunt, fresh like it happened right then and there. Taxidermy by Dourlain artistically captures your adventures.